I’ve already mentioned that the Kendal Festival of Food co-incides with October half term this year but, if that alone wasn’t enough, here are some more great reasons to bag our last October vacancy. Currently – but probably not for much longer – we have availability for the week from 21st to 28th October 2011 (Friday-Friday), as well as the 28th-31st October 2011 (Friday-Monday) short break that immediately follows it. Here are some more events that you could enjoy during this time. Just down the road the Kendal, Abbot Hall Art Gallery are running a Children’s Halloween Monsters Holiday Workshop on Wednesday 26th October 2011. The kids can get creative making their own spooky Halloween Monster to take home. 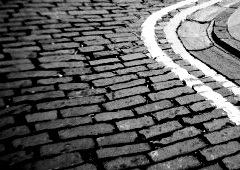 Down the road in Lancaster, it’s the Lancaster Literature Festival which runs from 14th to 23rd October 2011. If you love reading, you’ll love Litfest. 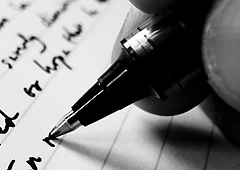 Click here for the full 2011 programme. The Lake District Visitor Centre at Brockhole near Windermere is getting into the Halloween spirit of things with “spooky” activities for the family all week for all the family, including a fancy dress parade. 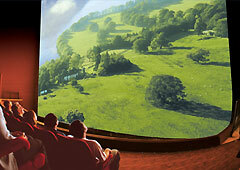 Rheged has packed October half term full of family fun with Mini Broomstick Making Workshops, Care of Magical Creatures sessions, Pumpkin Carving, children’s theatre with ‘The Selfish Crocodile’, and two BIG family films, Smurfs 3D and Pirates of the Carribbean 3D (On Stranger Shores) on their huge 3D screen. A week of witches, wizards, ghosts and ghouls! Starting at Haverthwaite, why not explore the perils of the haunted carriage, then travel along the haunted stretch of track from Haverthwaite to Newby Bridge Halt that, as legend has it is the home of the headless stationmaster. Spooky ghost trains run daily, so purchasing a combined ticket you can arrive in style at Lakeside and join in the spooky fun at the Lakes Aquarium before returning back to Haverthwaite. Children in full fancy dress are admitted free of charge when accompanied by a fee-paying adult. From today until 2nd October 2011, 100 artists across the county will be opening their doors and welcoming you in to their studios. From ceramicists to photographers to print makers to sculptors, C-Art Open Studios 2011 offers you a rare chance to meet a huge range of artists and view their art work in what is usually their private studio. Many art works will also be for sale. Postman Pat is 30 today! Postman Pat celebrates his 30th birthday today. Now… you might well ask why on earth I’m mentioning this on a blog for self-catering accommodation in Kendal. Well… it’s because Postman Pat was ‘born’ here! The fictional village of Greendale is based on the picturesque Longsleddale valley on the outskirts of town, and the inspiration for Mrs. Goggins’ Post Office came from 10 Greenside in Kendal which continued operating as a sub-Post Office in the town until 2003. 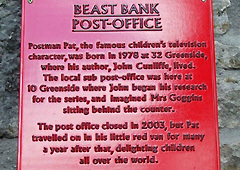 There’s still a postbox there to this day, and a plaque on the wall to commemorate the author John Cunliffe’s contribution to so many small children’s lives. There’s a very short piece today – along with some video footage of John Cunliffe’s reflections on his creation of the Postman Pat character – on the BBC website. And finally… look out for a Postman Pat 3D feature film which is apparently coming to a big screen near you soon. Postman Pat: The Movie – You Know You’re The One involves the animated character achieving overnight fame in a talent contest! The second stage of the Tour of Britain was scheduled for today but unfortunately it had to be cancelled due to high winds. School children (and adults!) had lined the streets at the start in Kendal and, thankfully for all concerned, we were still treated to a couple of laps around the town. Pictured here is Mark Cavendish as he passes our riverside holiday apartment. He’s the one in the yellow jersey and is probably the most famous on the Tour and winner of yesterday’s first stage (as well as multiple stages of the Tour de France). If you’d like to see more pictures, you can do so on our Facebook album here. We still (currently, at least) have availability for one of the most popular weeks of the year: the October half term. In fact, it’s the only week we have left for the main season (April-October), so it’s not likely to remain free for much longer. 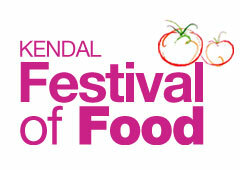 Not only is it half term week, but there are also many food-related events taking place in the town, due to the third annual Kendal Festival of Food. There’s an introduction to Thai cooking with Yelly de Jong of Cook in Cumbria in Kirkby Stephen (21st October), Apple Day at the Quaker Tapestry in Kendal (22nd October), food tastings at Low Sizergh Barn (24th-28th October), children’s pizza making in the Infusion Restaurant kitchen in Kendal with chef Martin McMillan (26th October), wine and food tasting at Infusion (27th October) and a Field to Fork Day (28th October). The Field to Fork Day offers you the best in local produce from the area including Plumgarths Farmshop, Ginger Bakers and Elliots Chutneys. As well as some fantastic stands there will be cookery demos from Marc Guibert from Lindeth Howe & Justin Wood from Castle Green, recipes and ingredients to take home, knowledgeable local farmers and producers, farmyard animals, provided by Westmorland County Agricultural Society, and grow your own advice from Beetham Nurseries and Growing Well at Sizergh Barn. Plus there is more! this event will be running in conjunction with the Made In Cumbria market so offering you more fantastic foodie delights. Our luxury riverside apartment is available at the time of the writing for the week from Friday 21st to Friday 28th October at the rate of £790 for the week. We’re fully booked for this month – and have been for some time – but if you’re thinking ahead to next year at all, September is a truly great time to come, with a plethora of notable events taking place. We’ve already had Mintfest (last weekend), an ever-growing annual weekend of street arts and entertainment. This Thursday it’s the turn of the Westmorland County Show at nearby Crooklands, and on Friday it will be the Kendal Torchlight Carnival which is now in its 42nd year. 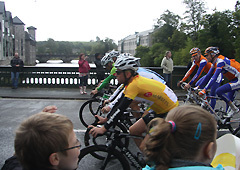 And then next week, Kendal hosts the beginning of the second stage of the Tour of Britain – a 137.7km stage that will see the competing cyclists race from Kendal to Blackpool, via Preston. All this, of course, is in addition to various exhibitions running at museums and art galleries in the town, as well as events taking place at venues such as the Brewery Arts Centre. Our riverside apartment comes with its own secure parking space. However, there are some occasions when guests bring two cars or have a visitor who wishes to park. In addition to our own secure parking space, the time-limited (1 hour) street parking just outside the apartment building, and the free parking on New Road, we thought it would be helpful to outline some of the other options. Shown below, therefore, is a summary of South Lakeland District Council car parks in Kendal.